While possibly not the most pleasant topic to discuss while on holiday, cancer and especially melanoma are becoming omnipresent topics among worshipers of the sun and shade alike. Now, a new study from investigators at Dana-Farber Cancer Institute and the Broad Institute of MIT and Harvard shows that a personal cancer treatment vaccine that targets distinctive neoantigens on tumor cells can stimulate a potent, safe, and highly specific immune antitumor response in melanoma patients. Antigens are molecules that are displayed on the surface of cells and stimulate the immune system. 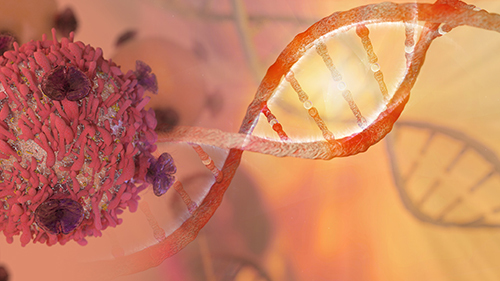 Neoantigens are molecules on cell surfaces that are produced by DNA mutations present in cancer cells but not in normal cells, making neoantigens ideal targets for immune therapy against cancer, say the scientists. The vaccines used in the Phase I trial reported contained up to 20 neoantigens derived from an individual patient's tumor. The vaccines were administered to patients to train their immune system to recognize these neoantigens, with the goal of stimulating the immune system to destroy the cancer cells that display them. While other immunotherapies, such as checkpoint inhibitor drugs, also trigger immune responses against cancer neoantigens, they are not designed to be specific. They can also induce responses against normal tissue antigens, leading the immune system to attack normal tissues and cause toxicity in a subset of patients. The researchers found that the personal vaccine induced a focused T-cell response against several tumor neoantigens, beyond what is normally seen in response to existing immunotherapies. In the current study, the vaccine—known as NeoVax—was administered to six patients with melanoma whose tumors had been removed by surgery and who were considered at high risk for recurrence. The vaccinations were started at a median of 18 weeks after surgery. At a median of 25 months after vaccination, four of the six patients showed no evidence of cancer recurrence. In the other two patients, whose cancer had spread to their lungs, the disease recurred after vaccination. At that point, they began treatment with the drug pembrolizumab, which inhibits the programmed cell death protein 1 (PD-1) immune checkpoint. Both patients had complete resolution of their tumors and remain free of disease according to imaging scans. To create the vaccine, samples from a patient's tumor and normal DNA from the patient's blood underwent whole-exome sequencing to reveal mutations present only in the tumor's genetic program. Because some mutations are present in the DNA, but the gene is not made into RNA and protein, the researchers used RNA sequencing to identify mutations that caused the production of a mutated RNA, which is then normally translated into a protein. T cells can only recognize neoantigens that are presented to them by HLA molecules of the immune system, thus an integral step in making the vaccine is using computer algorithms to predict which neoantigen peptides will bind strongly to the HLA molecules for recognition by T cells. Utilizing these algorithms yielded dozens of unique neoantigens for each patient's personal vaccine. Consequently, the selected neoantigen peptides were synthesized and mixed with an adjuvant—a mixture that helps to jump-start the immune response. The vaccine was aimed at generating responses to the neoantigens from T cells of two kinds: CD8+ killer cells and CD4+ helper cells. When the team monitored the vaccine's effects on the immune system in each patient, they found that both T-cell types had indeed been activated by the vaccine and could recognize the neoantigens bound to HLA molecules. Most importantly, many of the T cells were able to recognize the tumor cells directly, demonstrating that the vaccine had triggered a tumor-specific immune response that could target the patient's tumor.